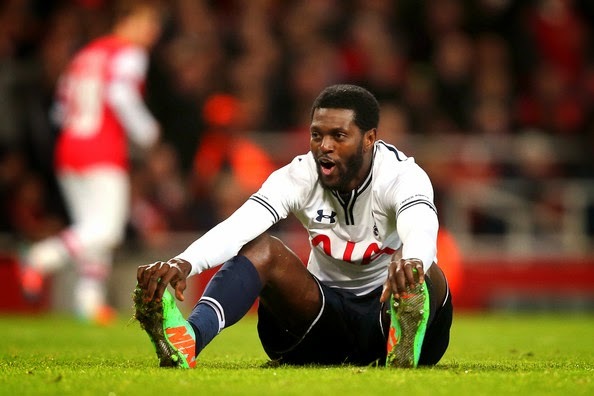 Emmanuel Adebayor at Chelsea next season - Yes or No? In a surprising twist to the transfer rumour mill over the last twenty four hours, Tottenham's Emmanuel Adebayor has been linked with a move to Chelsea in the summer. I am asking you the Chelsea fan whether or not you would be in favour of the move? With the prolific form of Harry Kane, Adebayor has had to settle for life outside of the first team at Tottenham and rightly so. However, it's easy to forget that the big Togolese striker on his day is a real class act and WAS once signed by Jose Mourinho before. As we all know with the rumour mill, it could be someone quite literally linking the two together again that has started all of this and there could be nothing in these reports. What if there is? Adebayor is only 31 years of age and has plenty of football still in him. He has ridiculous skill for a big man and knows exactly where the goal is as proven up and down Premier League grounds around the country. I remember that he and John Terry used to have fantastic battles whenever we played The Arsenal and he was always a handful to play against. I guess the question is whether or not he would be prepared to come here to fight for a place behind Diego Costa or whether we should be considering the likes of Adebayor when we have someone ready and raring to go in Patrick Bamford? For me, Adebayor is proven quality but needs games like everyone else. Could he be someone Jose Mourinho would be keen to bring to the Bridge to replace Drogba?